Politics and government start at the local level – Election Day 2017 is tomorrow, Tuesday, November 7. The local 2017 campaign season has taken a toll. It has been difficult (and disheartening) to watch as friends and neighbors turned on each other; sometimes over important campaign issues and other times with unfounded personal attacks. (From my vantage point, both sides are equally at fault.) Sadly, the political unrest we see at the national level has played out in our own backyard. Regardless of who wins our local supervisor and school board races tomorrow, the difficult task to come together and move forward will remain. Local elections do matter. Take schools: Neither the president nor Congress can have as much effect on local schools as the school board. In addition to overseeing a $140 million budget, the T/E School Board is tasked with balancing their responsibility to provide quality educational programs with the need to be effective stewards of public resources. The job requires dedication, experience and commitment to the students, parents and residents. (Click here for The Spoke interview podcast of the seven T/E School Board candidates. Thank you to Multimedia Editor Neil Goldenthal for providing the link). Our local government has much to consider: the adequate funding of fire and safety, our library services, real estate development and redevelopment, preservation of open space and our historic structures, infrastructure improvement needs, etc. With three of the seven Tredyffrin Township Board of Supervisor seats on tomorrow’s ballot, this is an important election. Which candidate’s views best aligns themselves with you? If you are undecided, a quick Google search of the supervisor candidates may provide helpful information. In addition to the sea of individual candidate signs, the political parties have placed signs suggesting voters “Stop the Madness, Vote Democratic” and “If You Love Chester County, Vote Republican”. As a registered Independent, I never believed that it was the letter of the alphabet next to your name that would determine your success as an elected official. 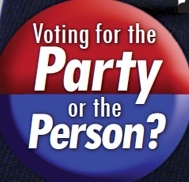 Whom you support on election day is a personal choice but please consider my appeal to “Vote for the Person, Not the Political Party”, before you pull the straight-party handle tomorrow. To my fellow disenfranchised Independents who were not allowed to vote in the May primary election, our day to be heard has come. The number of registered Republicans and Democrats are about even in Tredyffrin Township, which makes the Independent votes all the more important. Please join me — our votes do matter and can make a difference in the outcome! If you are a registered voter and don’t know your polling precinct number, use the PA Polling Place Search here. Three T/E School District Contracts Due to Expire in 30 Days … What is the Status on the Teachers (TEEA) Contract, Non-Instructional Group (TENIG) Contract and Act 93 (Administrators) Agreement? The TESD Finance Committee meeting agenda for Wednesday, May 31, 6:30 PM is available here. For the first time that I am aware, the school board is faced with the contracts of the District teachers (TEEA), the non-instructional group (TENIG) and Act 93 (administrators) all expiring on the same date — on June 30, 2017. In years past, the contracts terms were staggered. To my knowledge, there has been no update from the school board regarding any one of these three contracts that expire in a month. In the current TENIG contract (July 1, 2014 – June 30, 2017), the custodians received a 2% salary reduction and additionally had to give back 1 week of their vacation. (The rationale was that the District had to hire subs when the custodians are on vacation). The other members of TENIG (security, kitchen, maintenance, and cafeteria) received a 4% salary reduction in the new contract but their vacation benefit remains intact. Since the current TENIG contract required salary reductions, it does not seem plausible that these T/E workers would not receive an increase in the new contract (at least the new contract should bring the TENIG employees back to their June 30, 2014 salary level). The public doesn’t know the answer. The current TEEA contract (July 1, 2014 – June 30, 2017) was ratified in February 2014, months in advance of its June 30, 2014 expiration date. The contract protected the jobs of the District teachers and included a ‘no furloughs or demotions’ clause through June 2017. The teachers received salary increases based on their step movement in the matrix. The contract included a Distance E-Learning Pilot Program that ran the length of the contract, expiring on June 30, 2017. If you recall, TEEA previously filed a suit (and won) against the District over their implementation of distance learning so it was somewhat surprising to see its inclusion in the contract. Are we confident that the new TEEA contract will honor the ‘no furlough or demolition’ clause contained in the current contract? The public doesn’t know the answer. The third TESD contract due to expire in a month is the Act 93 Agreement — the District’s administrator compensation plan. The current Act 93 Agreement (January 29, 2013 – June 30, 2017) included a one-time bonus for service in the previous two and one-years and a one-time bonus of 1% of the individual’s salary award each June. At the time the Act 93 contract was signed, there was discussion that the lowest paid groups – the TENIG workers – were taking a salary decrease whereas the administrators’ salaries were increasing. So with the teachers, administrators and the non-instructional workers with contracts expiring in a month, it’s going to be interesting to see if fairness will prevail. Will the administrators continue to receive an annual bonus? The public doesn’t know the answer. For me, the problem is that there’s been no update whatsoever in the contract negotiation process and the final budget is to be approved in a couple of weeks on Monday, June 12. Although the draft budget includes a maximum tax increase of 3.4%, it indicates a $1.6 million deficit. The plan is to make up the deficit with a transfer from the District’s fund balance. Plus, we do not know the impact of the teachers, administrator and TENIG contracts on the budget. As indicated in the graphic above, the three contracts are ‘TBD’. Harping on the lack of transparency and public information by the school board does not seem to work – except maybe in an election year! (School board directors Doug Carlson, Virginia Lastner and Scott Dorsey are up for re-election although Scott has no opposing candidate.) No doubt the school board would lament that they cannot provide updates during the contract negotiating process as its explanation for keeping the public in the dark. The final approval on the TESD 2017-18 budget looms in two weeks, Monday, June 12. When will the school board provide the public with the three contracts? When will the final budget (with the missing ‘TBD’ contract information) be made available to the public? Perhaps some of these answers will be available at the Finance Meeting on Wednesday night. Primary Election Day Tuesday, May 16: Your Vote Matters! You have to be a registered Democrat or a registered Republican to vote in the Primary Election tomorrow, May 16. Sadly, Pennsylvania is one of a handful of states that does not permit Independent candidates, like myself, to participate in the Primary Election. Independent voter registrations continue to rise and it is quite possible that these voters may be the deciding factor for local elections in November. Below is a list of supervisor, school board and magisterial judge candidates. Some of the candidates have personal campaign website and Facebook pages. Take the time to know your candidates before you vote! There are three Tredyffrin Township supervisor positions available – two at-large and one in the middle district. Currently serving at-large supervisor Mark Freed (D) and middle district supervisor Evelyn Richter (R) have chosen not to seek reelection. At-large supervisor Murph Wysocki (D) is seeking a second term. Terms are four years. Three attorneys, a physician, corporate CEO and real estate agent will vie for Tredyffrin Township’s three available supervisor seats. For the 2017 election, there is a change to the election districts in the TE School District. The regional election districts in the TE School District were approved for realignment last year to address changes in population that had resulted in disparity among the voting regions. The new regional election districts take effect with the 2017 voting cycle. Terms on the school board are four years. Incumbent school board directors Doug Carlson (R) and Virginia Lastner (R) are seeking reelection for a second term in Region 3. Carlson currently serves as the President of the TE School Board. Candidates Tina Whitlow (D) and Heather Ward (D) are opposing Carlson and Lastner for the TE School Board in Region 3. Incumbent Analisa Sondergaard (D), an attorney is seeking her second 6-year term for Magisterial District Judge, District 15-4-01. Opposing Sondergaard is Liz Mercogliano(R), attorney, realtor and RN. Our PA State Senator Andy Dinniman, Minority Chair of the state Senate’s education committee is set to vote on Senate Bill 383 this morning. As the issue of school safety stemming from school shootings continues, some lawmakers are looking at offensive measures to help protect students. Labeled as “providing for protection and defense of students”, Senate Bill 383 would allow school personnel to carry loaded weapons in public schools. Anyone that has followed Community Matters over the years knows how I feel about guns and gun control so please know my position is biased against Senate Bill 383. The argument is that if teachers were allowed to carry guns in the classrooms that they have a better chance of protecting students and themselves. Opposing view, including my own, would suggest that students will be afraid knowing that their teachers are carrying concealed weapons and may actually be distracted by the idea. School should be a safe place and is it not possible that providing a teacher with a gun will make students afraid of going to school? Is arming teachers the answer to school safety? According to PA State Senator Donald White (R-41), the sponsor of Senate Bill 383, he says it would provide another option to improve the safety and security of children, teachers and school staff. Should anyone who is trained, licensed and meets all the requirements to carry a gun be allowed to carry one – including teachers in our public schools? I would need concrete evidence to convince me that arming our public school teachers is going to increase student safety. Rather than keeping our students safer, isn’t it possible that bringing loaded guns into the classrooms can actually increase the risk to our children? 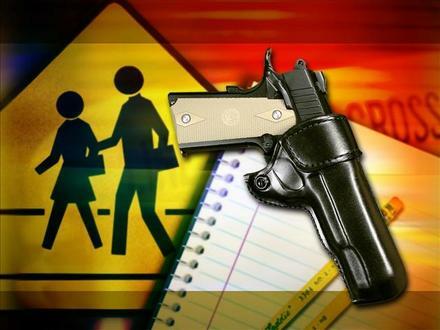 Should Senate Bill 383 move forward and eventually become law, it would allow local school districts to establish policy allowing personnel who have a concealed-carry permit to bring guns to school. I would be very curious what parents of school-age children think of this proposed legislation. Where will the TE School Board stand on Senate Bill 383 — with four seats on the school board on the November ballot, it may be important to know the candidate’s views on “guns in the classroom”. In the aftermath of the Sandy Hook Elementary School shooting in 2012, we saw an immediate reaction across the country regarding school safety. The Newtown, CT shooting of innocent children impacted school district’s safety policies. In TE, we saw the implementation of the District-wide school fencing project. Will “guns in the classroom” be similar — hire a “safety consultant” to make certain of the intended outcome? To contact PA Senator Andy Dinniman regarding Bill 383, Office: One North Church, West Chester, PA Phone 610-692-2112, Mon – Fri: 8:30 AM – 5 PM. The 2017 Election campaign season is officially underway for Tredyffrin Township supervisor, TE School District directors and Magisterial District Judge candidates. All candidates who wished to appear on the Democratic or Republican ballot in the Primary Election needed to have filed their “nomination petitions” along with a “statement of financial interests” with Chester County Voter Services. The nomination petition documents required the signature of registered voters, who are enrolled in the party of which the candidate sought nomination and reside in the electoral district of the office sought. The statement of financial interests requires the candidate to provide information regarding the filer’s source of income. Below is the list of our local candidates for supervisor, school board and magisterial district judge – best of luck to all those taking the journey! Regardless of party affiliation and stance on specific issues, we thank you for your time, effort and willingness to serve! The last day for withdrawal by candidates who filed nomination petitions is March 22. The Primary Election date is May 16. Incumbent school board director Scott Dorsey (D) is seeking a second term on the TE School Board. The Tredyffrin Township Republican Committee has chosen not to oppose Rev. Dorsey in the Region 1 school board race. Incumbent school board directors Doug Carlson (R) and Virginia Lastner (R) are seeking reelection for a second term in Region 3. Carlson currently serves as the President of the TE School Board. UPDATE: Candidates Tina Whitlow (D) and Heather Ward (D) have filed to run for TE School Board for Region 3. The Region 2 school board race will be interesting. Republican Doug Anestad, a computer consultant, attends many of the school district meetings and is an active resident participant – most notably outspoken in his opposition of the VF Middle School fencing project (which the current school board elected to install). Anestad’s opponent in the school board race is candidate Kyle Boyer (D) who is a currently a TESD social studies teacher at VF Middle School. I do not recall when we have had a candidate for the TE School Board, who was a current TE School District teacher. This could prove to be a delicate balance for candidate Boyer – employed as a teacher in the school district where he seeks to serve on its school board. Unlike the school board and supervisor candidates, where only 10 signatures are required on the nomination petitions, the magisterial district judge candidates are required to have 100 signatures. As is the case with school board candidates, those seeking district judge position, can cross-file and appear on both Republican and Democratic ballots. To appear on both Republican and Democratic ballots, a school board candidate would need to have a minimum of 10 Republicans and 10 Democrats signatures and a magisterial district judge candidate would need a minimum of 100 signatures from each political party. At tonight’s TE School District meeting (7:30 PM, Conestoga High School), the school board will vote on the 2016-17 final budget and property tax rate. In January, the board had adopted the preliminary budget which contained a 4.3% tax increase – they approved the budget with the Act 1 Index of 2.4% and allowable Act 1 Exceptions of 1.9%. At the April 25, 2016 regular school board meeting, the proposed final budget reduced the property tax rate from January, from 4.3% down to 3.875%. According to the meeting agenda and budget materials (click here) the board will vote on the District’s 2016-17 final budget with an Act 1 Index of 2.4% and Referendum Exceptions of 1.2% for a 3.6% tax increase to the taxpayers. The following chart shows TESD tax increases over the last twelve years. 2004-05 was the last zero tax increase year. The TE School District residents can take solace that they are not alone in their tax increase. According to Adam Farence’s Daily Local article, 11 out of the 12 school districts in Chester County contain 2016-17 budgets with tax increases. The only Chester County school district without a 2016-17 tax increase is Downingtown Area School District. DASD recently approved their 2016-17 budget with no tax increase but what is more fascinating is that this is the fourth year in a row without a tax increase! The total operating budget for Downingtown Areas School District is $210 million versus TE School District operating budget of approximately $129 million. DASD has a fund balance of approx. $24.5 million versus approx. $32 million in TESD indicating that both districts understand the importance of saving for the future. Someone is going to have to help me understand how these two Chester County school districts can operate so differently financially – and yes, I understand that TESD is ranked academically higher than DASD. 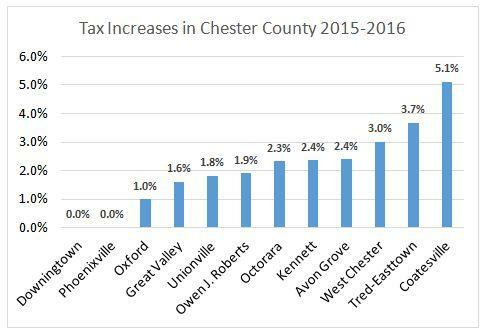 TE School District has always been an academic powerhouse, so other than 20 miles of separation between the two Chester County school districts, how is it possible that DASD repeatedly holds the zero tax increase to its residents and TESD has had 12 consecutive years of tax increases? Perhaps TESD business manager Art McDonnell could have coffee with DASD chief finaicial officer Rich Fazio to compare notes and discuss financial strategies! According to the agenda budget materials for tonight’s TE School Board meeting, there were spending cuts before, during and after budget approval to reduce expenditures in the 2016-17 budget. An explanation of those specific reductions would be helpful to taxpayers. Back in January, school board members Ed Sweeney and Scott Dorsey spoke out against the preliminary tax increase of 4.3% as unacceptable … will they now be OK with 3.6% tax increase? Instead of a typical roll call vote on the TESD 2016-17 final budget, I encourage board members to be accountable and offer the public an explanation of their vote. Many of the newly school board members used fiscal responsibility and accountability as a campaign platform – now is the time to deliver on those promises. For the 13th year in a row, it looks like the TE School Board will vote to increase taxes to its residents. 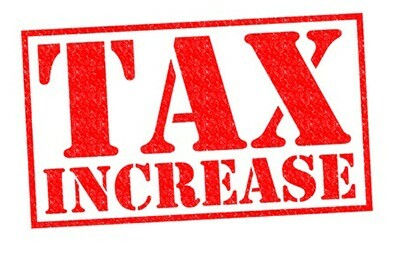 At the District’s budget workshop last night, the public learned that the proposed 2016/17 tax increase has decreased – the tax increase has reduced from the 4.3% contained in the preliminary budget approved in January. The proposed tax increase is now 3.875%. This ‘decrease in the increase’ means homeowners will keep roughly $20 of the proposed tax increase in their pockets. T/E School District has one of the largest fund balances in the state – in 1996/97, the District had a fund balance of $4,333,661 and in the last decade we saw the fund balance increase to more than $28 million. The total fund balance as of June 2015 was $32,381,047 – that’s $32.4 million in taxpayer dollars. Continuing to grow the fund balance, the District shows a budget surplus for the fifth year in a row yet residents continue to feel the sting of an annual tax increase. Ray Clarke and Neal Colligan were in attendance at the budget workshop and their comments from the meeting are appreciated. Thank you both. If residents care about the proposed ‘thirteen years in a row’ tax increase, they should plan to attend the TE School Board meeting of April 25 and voice their opinion. Three hours of discussion at last night’s TESD Budget Workshop culminated in some good news for taxpayers – although you’d need a microscope to see it. The Board will vote at its April 25th meeting for a “Preliminary Final Budget” that includes a tax increase of 3.875% – down from the maximum allowable by a token 0.4% (worth about $20 for the average taxpayer, who is still faced with an increase of more than $200). – Half of the adjustments to the Preliminary Budget could arguably be higher – most notable being the use of approved rather realistic estimates to budget the impact of staff retirements. – There was much lamentation of the possible impact of the next union contracts (due in 2017/18), without recognition that the projections already include 7-10% increases in the benefits costs (worth 1-2% in total compensation). – Revenue projections are especially murky. This year’s transfer tax is already $1 million over Budget, as are even base real estate revenues – the most predictable of all line items! It’s not at all clear if next year’s Budget, developed months ago, considers these developments. Years of operating outcomes favorable to Budget show that the Administration is skilled at managing its resources. Superintendent Gusick read a scripted plea for the Board to set the District’s tax parameters and pledged to implement a process next Fall to conduct the oft-advertised “deep dive” into expense strategies that would address any apparent operating deficit that resulted. -Current Year operating projections now show an estimated $984,000 Surplus for the District for the 2015-16 fiscal year (this year). Current year’s budget was passed with an anticipated deficit of $1.654 MM. It’s a miracle…a $2.5 MM swing! -This “miracle” of Deficit Budget morphing into an Actual Surplus has now happened in EACH of the last five years. -As a result of these Surpluses; the District has added almost $12 MM to its Fund Balance over the last 5 years…that’s a pretty profitable operation!!! -With over $32 MM in Fund Balance (about to be over $33 MM with this year’s Surplus); at what point is that adequate? -The growth of the Surplus is remarkable as we always seem to be “up against the wall” when it comes time to set a new tax rate. Possibly this pattern is a result of the budget forecasting methods employed when looking at the next year’s budget. On average (10 years); the District collects a bit over 100% of budgeted revenue and spends about 95.5% of budgeted expenses. Perhaps this speaks more to the budget estimates used at tax setting time than actual operational changes employed during a given fiscal year. 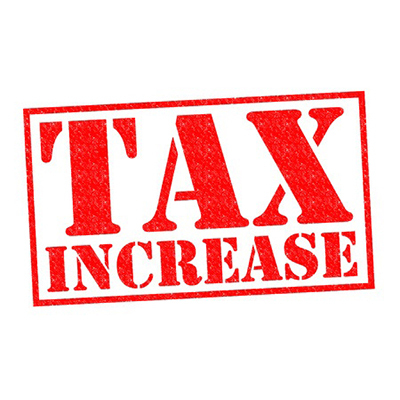 -At 3.875%; the tax increase this year will be higher than the 3.84% increase imposed on the community for this year. Not sure the new Board Members ran to increase taxes. -Perhaps it is time to look at using a small amount of our Surplus (88% funded by local sources) to dampen current tax increases? One could certainly argue that the Fund Balance is now super-adequate and it is taxpayer money that they were told would go to education….!!!??? Belated Happy New Year! Waking up to 23 degree temperatures today reminds us that we are not going to escape the winter after all. Having recently returned from holidays spent in South Carolina with balmy, sunny 83 temperatures makes the arctic cold even harder to take! Since the start of the New Year, here are a couple of noteworthy items. The 2016 reorganization of Tredyffrin Township’s Board of Supervisors came with two surprises – recently elected at-large supervisors Trip Lukens and Sean Moir were elected chair and vice chair, respectively of the board. Except for, also recently elected, supervisor Heather Greenberg, all other currently serving supervisors had served on the BOS longer than these two newly elected supervisors. But Lukens isn’t new to leadership roles in the township, having served previously as a member and chair of Tredyffrin’s Planning Commission. Congratulations to Lukens and Moir on the vote of confidence from their fellow supervisors and best wishes in their new positions! The TE School District held their first school board meeting of 2016 last week.The Board unanimously adopted the 2016-17 preliminary budget which contains a 4.3% tax increase. The Board decided to “keep their options open” by approving a preliminary budget with the Act 1 index of 2.4% and allowable exceptions to Act 1 of 1.9% to close the project budget deficit of $4.75 million. It should be noted that Tredyffrin Township recently passed their 2016 budget with a zero percent tax increase. Although the Chester County Substitute Teacher Job Fair is for candidates seeking positions in all the Chester County public school districts, I post this notice in hopes of helping some of the experienced and educated aides and paraeducators whose jobs were outsourced by Tredyffrin Easttown School District. We learned last week at the TE School Board meeting that Easttown resident Doug Carlson (R) was elected board president and Tredyffrin resident Scott Dorsey (D) the vice president. On Tuesday, the newly seated school board held their first Finance Committee meeting – Virginia Lastner (R) will continue her role as chair. Although I was unable to attend the Finance Committee meeting, Ray Clarke attended and kindly provides his notes/comments to Community Matters (see below). Late today, the District posted the committee assignments on their website. After serving as Facilities Chair for many years, it was interesting who would fill the vacated seat of Pete Motel. In addition to chairing the Finance Committee, we learned that Virginia Lastner will chair Facilities in addition to Finance. The two most important school board committee meetings (at least when it comes to tax dollars) is Finance and Facilities committees … and both will be chaired by Easttown resident Virginia Lastner. With Carlson as Board president and Lastner in charge of the District’s Finance and Facilities committees, it looks like the Easttown Republicans are taking charge of the TE School District! How’s this possible … for the first time in the District’s history, five of the nine school board members are Tredyffrin Democrats! Beyond the ongoing construction of the District’s maintenance building, looms the final report from the safety consultant on the Valley Forge Middle School fencing project which is due by the end in the next few weeks. Looking at the makeup of the Facilities Committee, it’s unclear if consensus will be reached easily– newly elected school board members Michele Burger (D) and Ed Sweeney (R) publicly campaigned against the VFMS fencing project. Will their opposition to the proposed fencing be sufficient to sway the other two members of Facilities, Lastner and Todd Kantorczyk (D)? The Valley Forge Middle School fencing project will likely be back on the Facilities agenda in early 2016. It was good to see that the Public Information Committee is listed albeit as ‘Ad Hoc’; meetings held “when needed”. In my opinion, there is always a need for public information. Glad to see that Scott Dorsey is the committee’s chair – hopefully with Rev. Dorsey at the helm, we can look forward to increased transparency and public engagement from the Board. With all the madness going on in the world, it was disturbing to see there the Diversity Committee was not listed. Former school board member Liz Mercogliano previously chaired the Diversity Committee and would update the public at Board meetings on their important ongoing discussions. Now, more than ever, we all must work together to ensure that we appropriately value the diversity within and among our schools. Promoting and encouraging respect for ethnic and cultural diversity within the school population, staff and community deserves to continue. Suggest that Diversity find a place on the calendar with the other committee assignments. I appreciate the following comments/notes from the Finance Committee meeting as provided by Ray Clarke. Ray’s budget point #3 caught my attention – “assumptions about employee out-sourcing”. What? In a follow-up call, Ray confirmed that there was no details or explanation offered by the Finance chair or the administration regarding this out-sourcing comment. So, the public is left wondering which employees are they talking about — is it the few remaining aides and paras who remain as District employees? Or is the Finance committee and administration thinking ahead to other potential outsourcing opportunities – TENIG’s contract is up in 18 months, so could it be that the District’s kitchen staff, secretaries and custodians will once again find their jobs in jeopardy? Last night was the first meeting of the new Finance Committee (although the full Board was in attendance). The group seems short on financial management experience, so there will need to be a steep learning curve. Exemplified by the fact that the Committee recommended that the Board vote in January to apply for all eligible Exceptions, totaling a 4.3% tax increase. This is based on just eight numbers from the Administration, two of which are given from the mandated PSERS rate. Two more are the same as the current year (State and Federal subsidies). The bottom line is a scare-inducing $4.65 million deficit. Local Revenues: Is the Board OK with projected revenues just $800,000 more than this year’s budget when this year’s real estate taxes, transfer taxes and interim taxes are already running $1,000,000 better to budget than last year’s rate? Salaries: Do they understand why salaries are flat despite a contracted TEEA step increase worth maybe 2%, a 5.7 FTE teacher increase, 1.7% salary increases for Admin, etc.? We discovered last night that has something to do with assumptions about employee out-sourcing, but no detail was provided. Nor of course, any detail about the expected staffing increase. Benefits: Apparently the consultant advised the District to project a 5% healthcare premium cost increase, and the total budgeted benefits increase vs 2015/16 is 5.1%. But the TEEA, for example, is contracted to pay an extra percentage of the premium and there will be fewer employees apparently. How does the math work? “Other”: This is up nearly $3 million over the current year projection. Presumably the out-sourcing projections have something to do with this, but no explanation was provided. – The arithmetic for the Special Ed calculation leads to a $900,000 tax increase, yet this year’s expense increase is less than $400,000 and there was no data on the slides supporting an expense projection for 2016/17. – The projection for this year is that expenses will be $1.3 million less than Budget. The response to this will say a lot about our new Board. We were told over and over last night that the tax increase recommendation was just to “preserve our flexibility”, but we know too well how markers like that tend to get cemented in. Are they prepared to lay down that marker with such minimal information provided by the Administration? The five newly elected TESD school board members (Michelle Burger, Ed Sweeney, Roberta Hotinski, Todd Kantorczyk and Kate Murphy) take office on Monday, December 10, at 7:30 PM. The District’s reorganization meeting includes the nomination and election of school board president and vice president. Some have suggested that former school president Kris Graham’s re-election defeat last month was a message for change from the community – a call for transparency and improved public engagement. Will that message influence the reorganization results? School board vice president under Kris Graham was Easttown resident Doug Carlson and he looks to want to step up to the board president position. Also seeking the president role on the board is Tredyffrin resident Scott Dorsey. For the first time in TE School District history, the school board of nine members now has a Democratic majority (5 D’s, 4 R’s). Presumably this should give Dorsey (D) an edge over Carlson (R) but … it is unlikely that all D’s will support Dorsey. However, Dorsey does have the public endorsement of newly elected school board member, Republican Ed Sweeney. Committed to honoring his campaign promise of improving public information and citizen involvement, Sweeney posted the following on his Facebook page today, “I endorse Scott Dorsey for TE School Board President. My district elected me to fulfill their expectations. Mr. Dorsey is very concerned about the issues that I think Tredyffrin and my district care most about and is well qualified to be President. I was impressed with his ability to outreach in his campaign for Board President. Mr. Dorsey will partner with fellow members, residents, and stakeholders to bring a new spirit of cooperative government to our area.” Here’s hoping that all newly elected school board members will likewise honor their campaign commitments! For those in the community that are paying attention, the first meeting of the new school board and the nomination/election process for board president should be interesting. – Dr. Motel stated that the original rationale for the fences was for “the specific purpose of making sure students do not leave”, “nothing to do with active shooters” and “you can put that on the blog”. So here it is. Others may have different recollections. – Resident Cindy Marturano tried to engage the Committee in a discussion of protocols for communication to all residents of facilities projects that impact the community, linked with the possibility of extending West Walker Road to Chesterbrook Boulevard to ease the traffic congestion at VFMS. The response to both points came down to: “if it’s a road matter talk to the Township”. However, Tredyffrin Township records show that West Walker Road is “Private”, and the Chester County GIS has the property line between the school and church running right down the middle of the road. On the other hand, the Township included West Walker Road on its list of roads to pave in 2015. Are the maps incorrect? Is Tredyffrin subsidizing the School District? Or is there more opportunity here for the School District to improve the daily nightmare than the District knows about or would like to accept? – The outgoing Committee spent some time discussing the goals for the 2016 Committee. Since that Committee will have a different composition with likely some newly elected Directors, this seemed rather presumptuous, but the Committee did not take kindly to the idea of including even a “Recommended” modifier, noting that the new Committee can always repeat the same exercise. – This last point may be related to a gift to the Committee from Daley and Jalboot of a life size “Flat Pete”, with the request that it be used as a reminder of Dr. Motel for future Committees. Dr. Motel noted that when his parents came to Easttown in the last century it was because TE was a highly rated school district. I think that the Board and staff are fortunate to serve a community that continues to be driven by this value. 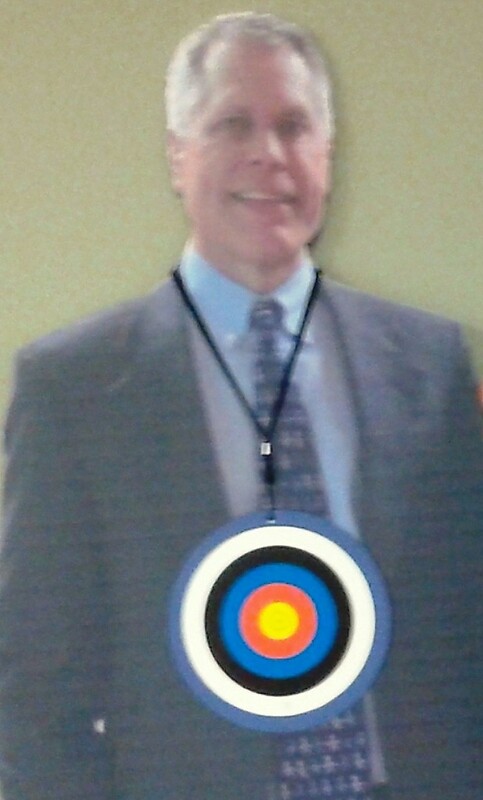 Ray pro vided the following photo of the cardboard cutout of Flat Pete, as presented by the District’s architects, Daley & Jalboot. When asked about the bulls-eye on Dr. Motel’s chest, Ray explained that the necklace had a gold star one side and a bulls-eye on the other, presumably to represent Motel as a target. I wasn’t at the meeting, but I found this gift rather bizarre. It was unclear if the Flat Pete cutout went home with Dr. Motel after the meeting or if it will continue to haunt the Facilities meetings going forward.